The film chronicles George's adventures as he befriends Kayla, a baby elephant, at a magic circus show and helps her travel across the country to be reunited with her family. 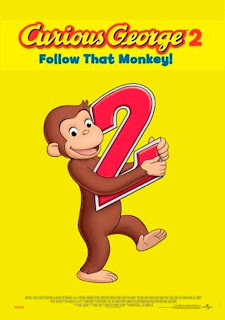 Accompanied by his friend, the Man with the Yellow Hat, George travels by foot, train, and truck to reach Kayla's brother and sister in California, only to be accused of elephant-napping and brought all the way back to New York City. Luckily, Kayla's owner sees what a good friend George is and realizes how much Kayla misses her family. Kayla's brother and sister are brought to the circus in New York.